The more I see of the Hotels the less I want to stay there. 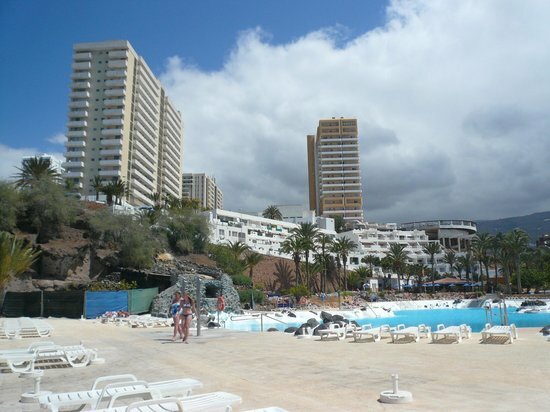 The hotel currently converted to a Hard Rock Hotel in the Canary Island of Tenerife, scheduled to open by next year, is probably the ugliest twin tower concrete monstrosity I’ve seen on the island so far. If you ask nicely, she might take you too! I want to go to Lake Tahoe some day, but I don’t think I’ll stay at that Hard Rock!